“The Devil You KNow” is the name of the latest album from The Coathangers. It was released on the Suicide Squeeze label back in March of this year, and the band has just kicked off a tour in support of the new album. The tour began at Saturn Birmingham in Birmingham, Alabama on April 4th, and the performance should set the tone for what will be a great display of what The Coathangers can do in a live concert setting. 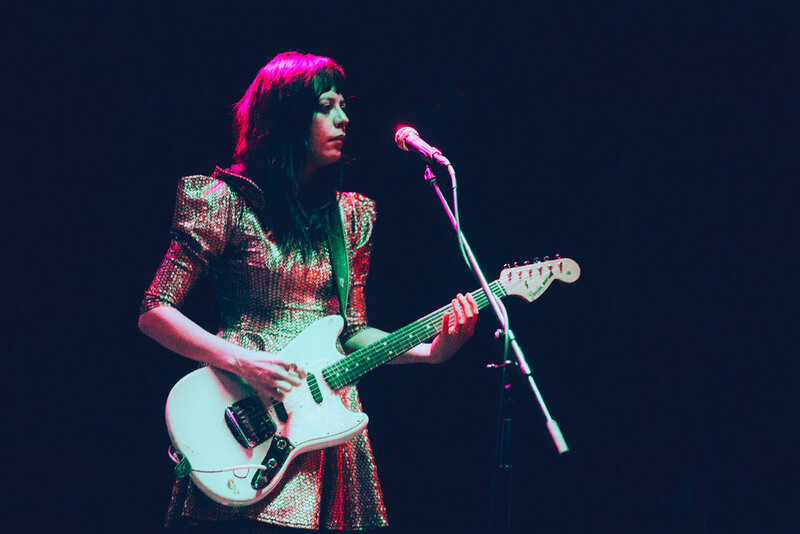 Establishing a moody vibe right from the get go, The Coathangers delivered an aces performance for their fans in the Magic City.